Since time immemorial, the nocturnal skies have mesmerized people, and heavenly bodies have inspired the imaginations of artists, poets, and scientists. This book showcases the superstars of the firmament and universe in sumptuous illustrations featuring paintings, sculpture, drawings, watercolours, prints, as well as plates from books, celestial diagrams, and astronomical photography. 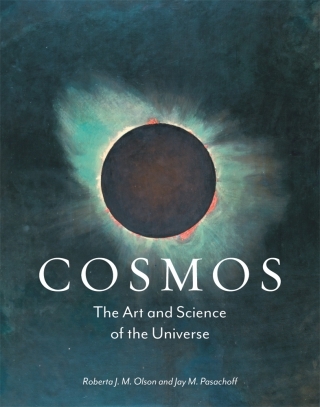 Cosmos: The Art and Science of the Universe charts the human love affair with the heavens in art and astronomy, based on sound science and insightful art and cultural history. While its illustrations are thrilling and seductive, the book also recounts the fascinating story about the quest to discover the mysteries of the universe in ten lively chapters. Embellished with new information, interpretations, and amusing anecdotes, the authors weave a rich tapestry about the interconnections in the cosmos and the efforts to understand them. A stunning book that unveils the beauty of the cosmos and its compelling story.